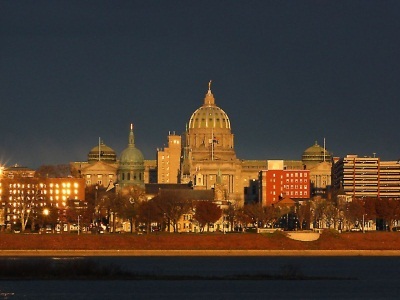 NeMLA 2014: Workshops in Harrisburg–MOOCs, Welsh poetic devices, and more! The NeMLA 2014 Convention will feature small group workshops offered on Thursday, April 3, and Sunday, April 6. The workshops will feature presenters who will work closely with workshop participants on a range of topics including online teaching, MOOCs, Welsh poetic devices, translation theory, and applying for grants from the National Endowment for the Humanities. Workshop details and descriptions are below. Purchase workshop tickets through the NeMLA Memberships and Registration website at www.regonline.com/nemla. All workshops will be held at the convention site, the Hilton Harrisburg, PA.
For more information, please email Carine Mardorossian, Carine_Mardorossian@nemla.org. Pre-registration is required for all workshops by Friday, March 28. Focusing on a rigorous integration of the traditional f2f and online classrooms, this workshop presents a highly systematic approach to combine a practical, step-by-step approach with the use of creative presentation of ideas and themes in the humanities and social sciences. Attention will be paid to strategies for encouraging valuable, academically rigorous discussions and research projects—making optimal use of both in the online and traditional classroom. This workshop will look at critical theory courses, 19th-century British literature courses, and an upper-level seminar in Shakespeare to show how blended learning functions in traditional academic courses in which the professor is creating all course concepts, and contexts in which materials are standardized by departments or schools. Pre-registration required; $25. Light lunch served. Please Note: This workshop is at capacity. To be put on a waitlist, please contact Renata Towne, support@nemla.org. This information session on grant programs and funded projects will include sample projects drawn from the fields of language and literary studies; tips on how to work with the NEH; how to develop an effective grant proposal; and how (and by whom) your application will be reviewed. The format will be question-friendly. This workshop will encourage participants to learn about cynghanedd (Welsh-language) devices in English-language poetry, then use the sound-texturing effects in set exercises. A short introductory talk will show – via examples – that Dylan Thomas, Gerard Manley Hopkins, Thomas Hardy and others used cynghanedd in their English-language poetry. This workshop will explore the option of moving from the ranks of teaching faculty into administration: thinking through the decision; starting the process; measuring opportunities; and giving yourself the best chances for success. This workshop will address reasons for considering the move; strategies and goals by institutional size and type; adapting to the administrative environment; and surprises to expect along the way. In the last two years, Massively Open Online Courses (MOOCs) have generated significant attention, positive and negative, among both academics and the public at large. While the specter of MOOCs raise controversial and potentially frightening philosophical and practical issues for academe, the purpose of this workshop is for participants to take a hands-on approach to understanding, in both technical and pedagogical terms, ways to design an effective MOOC from conception to assessment. This workshop will examine various MOOC platforms currently available; useful “translation” strategies for converting course material for mass distribution; legal, ethical, and pedagogical issues; team and time management strategies; and presentation styles. Enrollees are encouraged to bring sample syllabi and preliminary ideas to develop into MOOCs. Although the history of translation theory and commentary has been distinguished by a range of concepts, two dominant models persist: instrumental, treating translation as the reproduction or imitation of an invariant in the foreign text, as form or meaning; and hermeneutic, treating translation as an interpretation that attempts to fix form and meaning, although one interpretation among others. This workshop will explore these models’ pertinence by examining work by Jerome, Friedrich Schleiermacher, Eugene Nida, Gideon Toury, Antoine Berman, and Jacques Derrida. The discussion will be grounded in translations into and out of English from numerous genres, text types, and fields: fiction, poetry, screenplay, religion, philosophy, history, and journalism. The recipient of a Guggenheim Fellowship (2007), Venuti has authored, translated, and edited numerous volumes, including The Translator’s Invisibility (1995), The Scandals of Translation: Towards an Ethics of Difference (1998), and Translation Changes Everything (2012).